2016 saw the mobile app market maintain strong momentum, with significant growth in app usage and downloads. 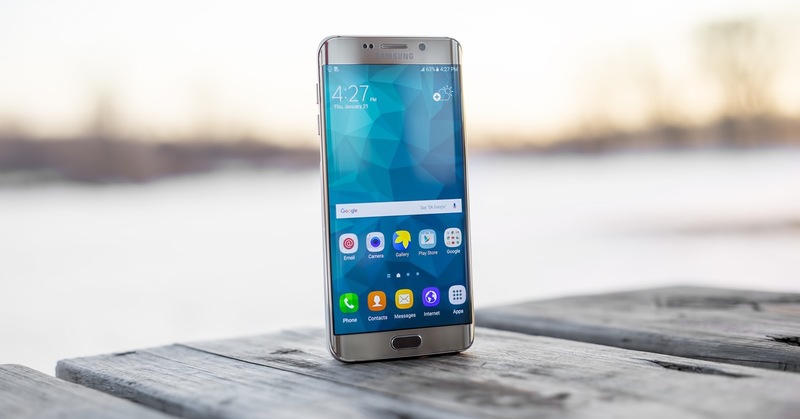 However, with well over 2 million apps in the major app stores, discoverability poses a significant challenge for businesses in the marketplace. App store optimisation is now considered fundamental to successful app strategy. App store optimisation (ASO) is crucial for ensuring your mobile app ranks highly in app store search results and driving downloads. 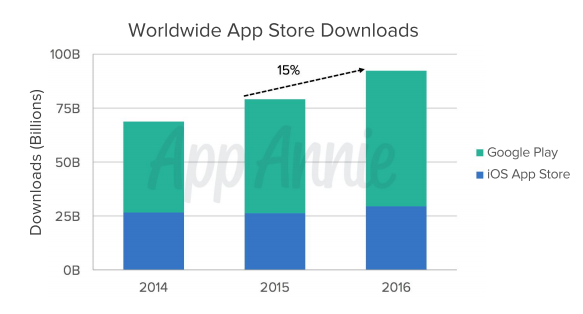 According to AppAnnie, 65% of Apple App Store downloads come from search alone and is consequently the most used method for discovering apps. ASO is the process of optimising your app store listing in order to rank higher in search results. The higher the ranking, the more visible your app is, the more traffic your app will get. Therefore, the ultimate goal of ASO is to drive traffic to your app in order to increase app downloads. Several factors can affect your app’s ranking in the app stores, however, downloads and engagement are considered the key influencers. Where engagement correlates with the features of the app, app downloads are dependent on app visibility. In an extremely competitive marketplace, ASO strategy is imperative for app success. When implementing ASO, take into consideration the following tips. Understanding your target market and who your potential users are is crucial for ASO and keyword optimisation. Research what keywords are most frequently used in app store searches and identify those that relate to your users. Utilising these keywords is essential for ensuring your app’s discovery in the app store. It is important to conduct keyword research to determine what keywords your competition is using and what they are ranking for. This will help you understand the competitive landscape in the marketplace. Utilising trending topics, such as seasonal events, in your keyword strategy is a great tactic for driving traffic to your app. Another strategy would be to find and use keywords that have lower competition and search volumes and to rank well for them. Once your app’s credibility is built up, you can then move on to tackle the more competitive keywords. What language do my customers use? What are their reasons for downloading my app? Add as many relevant keywords as possible so your app has a higher chance of discoverability. In order to get the most out of your keyword field don’t use spaces, instead, you can separate words with commas. To avoid any duplication, make sure not to use plural keywords or the name of the app. The title should reflect the purpose of your app. Keep the actual name of your app short and concise. Then you can augment this with keywords after the name, in example preceded by a dash, to create the title. According to Tune, apps with relevant keywords in their title ranked on average 10.3% higher than those without keywords. For this reason, try and include relevant keywords in the title by picking keywords your target users are searching for. Adding these descriptive keywords in the title will help increase your app’s discoverability. However, try not to use more than 3 keywords as the title might get rejected by Apple App Store. Steer clear of using any long, complicated keywords in the title. Ensuring your title is descriptive yet brief will allow users to read the title in its entirety and understand what the app is offering. Try to refrain from using special characters or symbols in your title as this can negatively impact your ASO. The description provides you with the opportunity to promote your app, increase traffic and encourage downloads. Your description should be targeted to your users and viewed as a potential call-to-action. Describe what the app does and compel the user to download it. It is extremely important to put the most engaging content in the first two sentences. This is due to the app store displaying only the first 2-3 lines of text before users need to click the ‘more’ tab. Therefore, treat these first few lines of your description as an ad copy, with the purpose to build curiosity and generate interest in your app. Remember to break up paragraphs and list your app’s best features. More specifically, use bullet points to list the unique benefits and use cases. It is also important to provide user testimonials and links to your website and app support. The app icon is the first impression users will have of your app. Icons should be clear and immediately convey what your app does. They should be creative and communicate your app’s core functions whilst standing out from the crowd. The ultimate goal for optimising your app icon is to create a simple yet descriptive image. In the case of app icons, less is more. There is a general trend towards bright colours, unique shapes and simple imagery. So try not to overcomplicate things with unnecessary words or images. Make sure to use vivid colours and imagery that support your brand and that are consistent with the design of your app. Screenshots allow your users to visualise the app before download. Screenshots should include the pages where users will spend most of their time. According to Storemaven, 60% of users won’t swipe past the first 2 screenshots in an app store listing. Therefore, make sure the first 2 screenshots showcase your apps best features and demonstrate the value to users. The idea is to think of screenshots as banner advertisements for your app. It is important to diversify your screenshots and show users why they should download your app. The screenshots can include menu navigation to showcase features, or action shots to show how users will interact with the app. When designing your screenshots consider hi-res images that use overlay text and annotations for clear messaging. Don’t worry about a logical order, instead put your most important screenshots first. It is recommended to include an app preview video to showcase the different functionalities of your app. According to AppAnnie, a video can increase conversion and downloads between 25 to 30 percent. Furthermore, Storemaven found that users are 2-3 times more likely to download after watching the video. Remember to use an eye-catching thumbnail image to encourage users to click on the video. It is also important to keep your video short, with particular focus placed on the first 10 seconds. To ensure your ASO strategy is successful, run A/B testing on all components from icons and screenshots to descriptions and keywords. For example, A/B testing different screenshots can help determine which drive the most app downloads. Users are able to browse apps by searching through categories that fit their interests. Therefore, placing your app in the right categories plays a major role in your app’s discoverability. However, deciding on the best categories can be challenging. It is important to weigh up the pros and cons of each. Pick the category which best describes the core function of your app. Although, keep in mind that categories can be changed later if needed. A ‘one-size-fits-all’ approach is risky when it comes to mobile app strategy and ASO. Users outside the English-speaking world prefer to use their native language, even if they are fluent in English. Taking this into account provides a significant opportunity for app developers to tap into a global market simply by catering to their user’s unique preferences. Doing so will help increase app discoverability, adoption and conversion. According to OneSky, localising your app can increase app downloads by as much as 767%. Promoting your app provides the opportunity to create hype and drive traffic to your app listing. The more traffic you drive to your app, the higher it will rank in search results. Consider building an online presence around your app through content, social media and review sites. An article from a major tech blog or popular review site is another great way to increase traffic and download rates. However, try and find the sites that cover apps in similar categories to yours. It is important to utilise these channels to generate awareness about your app and to engage your target users. App ratings and reviews play a significant role in how your app is perceived by users. Generally, apps with a large volume of positive ratings dominate the top charts. However, more often than not, users will only leave a review if they have had a negative experience or to report a bug. Therefore, in order to encourage positive feedback, ask your users ‘yes/no’ questions about whether they like your app. If they select ‘yes’ you can then prompt them to rate and review your app. If they select ‘no’ you can provide them with an option to leave internal feedback. Remember that happy users are great brand ambassadors for your app, so make it a top priority to resolve any negative reviews. It is important that you continue to gather user feedback and leverage this to guide future app updates and improvements. ASO strategy should be monitored and tweaked over time. It is important to continually track the ranking of your app in comparison to competitors and to adjust your strategy accordingly. 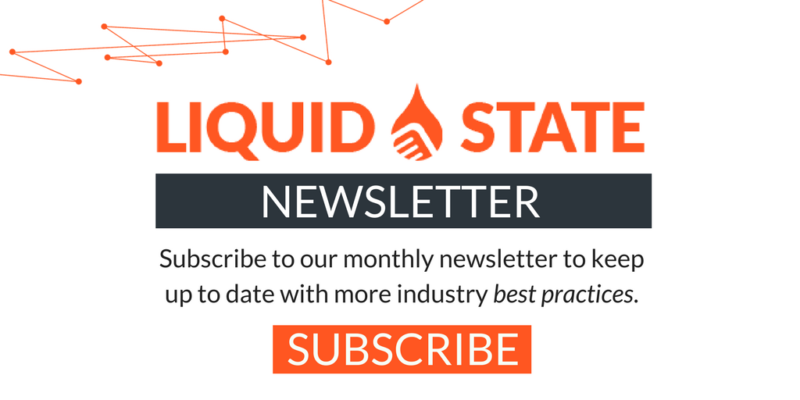 The Liquid State app framework, Ubiquity, empowers businesses to build native code-free apps for a variety of business functions. With Ubiquity, businesses are able to deliver multi-channel content via cross-platform apps, web and print.